Summer is here, and it’s a great time to add “WOW” to your smile by whitening your teeth. Kor whitening is a great whitening system with little to no sensitivity. 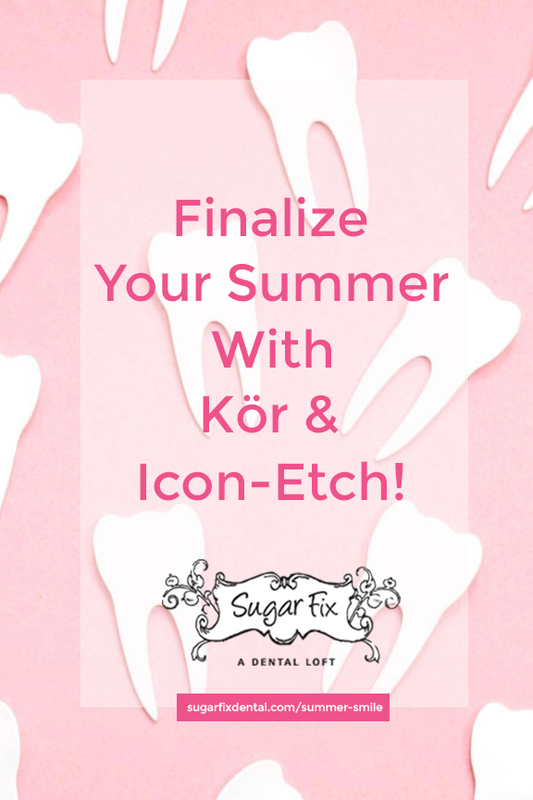 Kor is not offered in many offices, but here at Sugar Fix Dental Loft we highly recommend it! It’s completely safe to use on patients 14 years of age and older. Kor can whiten up to 16 shades lighter! Although everyone is different, you will still get the best results possible. The way Kor whitening works is we fabricate trays by taking a mold of your teeth, you will wear the trays overnight for two to eight weeks, followed by one simple whitening visit at the office. The great thing about Kor is the results are permanent! How amazing are these results!? Kor is the only whitening system to treat tetracycline patients. For so long tetracycline patients would treat stains with more aggressive work like crowns/veneers, but now, with Kor, you can get rid of those stains in a simpler/less invasive way. 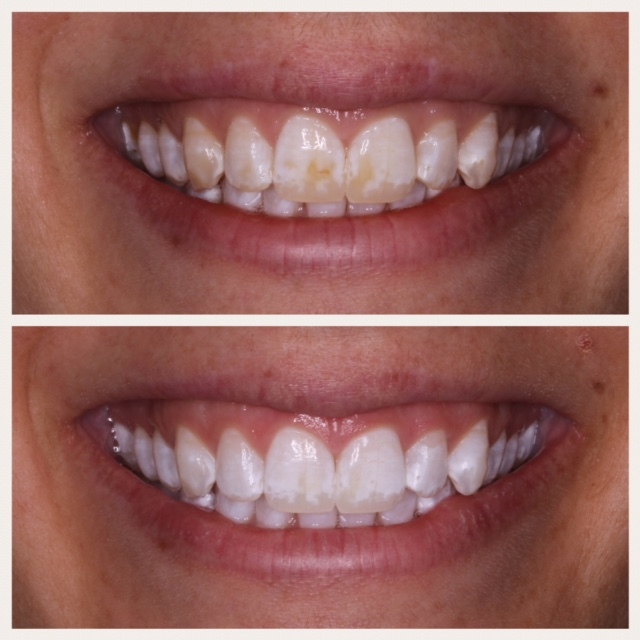 As shown in the image, this patient started with yellow and white staining on all of her teeth, we began her process with the in-office Kor whitening system, she then used her custom Kor trays and continued to whiten at home for 7 weeks. In some cases tetracycline patients need to finalize their treatment with Icon Etch, Icon Etch is a system used to blend the shade of a tooth more evenly. Not all teeth need it, there might just be one tooth with a lighter or darker spot. This final step is done in one appointment and the results are immediate! 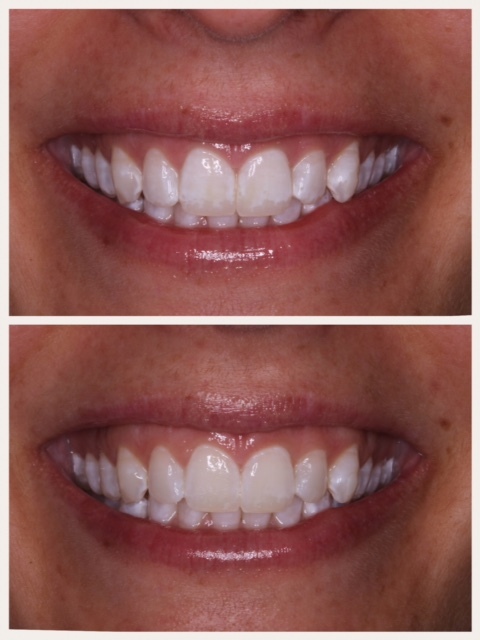 After whitening at home for a month our patient was left with white spots, she was brought back for Icon etch and those white spots are now gone! Icon Etch has amazing results and it’s the best way to finalize the whitening process for tetracycline patients.